The use of cupping as a therapy for post stroke rehabilitation – by Dr Joy Saville. The following is a guest blog-post in the form of a written interview with Dr Joy Saville, a female cupping therapist from South Africa. up getting involved with cupping? I studied Complementary and Alternative Medicine (CAM) at the University of the Western Cape and specialized in Unani-Tibb as it is the foundation of conventional medicine, shares roots with African Traditional Medicine and parallels can be drawn between the philosophical principles of Traditional Chinese Medicine and Ayurveda. I was introduced to Cupping therapy whilst studying Tibb. As I had never previously been exposed to CAM I found the system of medicine and the therapies, including cupping therapy, fascinating. Have you researched any illnesses/ conditions with regards to treatment with hijama/ wet-cupping? I have not performed any formal research studies in cupping therapy. As a Tibb practitioner I see a vast array of illness conditions and record my clinical findings as best possible. Conditions that I have a special interest in include many common chronic illness conditions. This includes diabetes, hypertension, arthritis, chronic tension headaches, asthma, back ache and stroke to mention a few. – You have written an article on the use of cupping as a post-stroke therapy. What is the background of that? If applicable, how many patients took part and how long did it take? I wrote an article for a health segment in one of the local newspapers of the benefits of cupping therapy in Post stroke debility after reviewing many case studies compiled by myself and my colleagues at the Tibb Medical Centre in Cape Town. I used the Tibb philosophical principles as a basis, the rationale and clinical benefits of cupping therapy and the numerous case studies I received to complete the aforementioned article. – What was the outcome/conclusion of the article? accordance with your temperament and illness condition is imperative for successful disease management. – Are you planning any other hijama-related studies in the near future? Definitely! I believe that cupping is one of the most effective and beneficial therapies available. It is non invasive, relatively painless and it works at both the emotional and physical level. It not only assists in the treatment of disease, but it can also be used in the maintenance of health. I have just read a study on the “Immunomodulatory Effects of Bloodletting Therapy in Patients with Rheumatoid Arthritis” by Drs Sahbaa Ahmed, Nour Madbouly, Soheir Maklad and Eman Abu-Shady. The study shows an improvement in the biochemical markers of this autoimmune disorder. In future, I would like to do more research in the use of cupping therapy in various autoimmune conditions as I feel that there is a great need for a complementary treatment option. – If you have hijama done yourself, how often do you get it done, and what for (if any specific condition) and who do you go to get it done (since it is not an easy therapy to self-administer)? As a result of me relocating, I have not yet found a suitable cupping practitioner. I usually ask my husband to do dry cupping over the health maintenance points on my back. These points cover the 3 main organs i.e. brain, heart and liver as well as the reproductive organs and small and large bowel. These points are really common cupping points for many illness conditions, but also help with disease prevention. I also have cups placed over my trapezius muscles to relieve the strain and inflammation that often happens due to poor desk posture. – Do you have any other interesting case-studies that you can briefly share with us from your hijama treatments? I am not sure if the conditions I have seen can be defined as interesting as they are relatively common chronic diseases. Like I have mentioned before I have had great success in the management of illness conditions like hypertension, diabetes, tension headaches, menopausal symptoms, and inflammatory muscle and joint conditions. – Also what would you say about using cupping as a general preventative therapy and how often would you recommend this (once a month? once/twice a year?) And do you think that can be a preventative therapy for stroke and if so, can you briefly explain how that would work. Cupping is a fantastic therapy for health maintenance and disease prevention. I would suggest having cupping done once a month for this purpose. However, this will depend on the availability and affordability of this therapy. I believe cupping can assist in preventing strokes. Again a holistic approach needs to be adopted, but I do think that it can either delay the onset or prevent strokes completely. 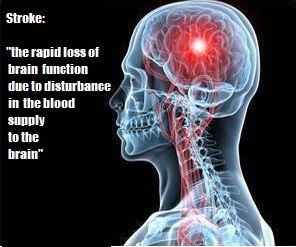 About 85% of strokes are Ischaemic strokes. This results when the blood vessels in the brain are completely or partially blocked and the brain receives an insufficient amount of oxygen. Cupping therapy prevents plaque formation by facilitating blood flow and acting as a means of elimination for waste matter and excess humours which are causative in atherosclerotic plaque formation. This is just one mechanism of action of cupping therapy in the prevention of stroke. – What is the overall prevalence of hijama therapy and Tibbe Nabawi in South Africa ? Is it available in hospitals and clinics as a valid alternative / sunnah therapy? Currently we have about 70 registered Tibb practitioners in the Country. Tibb medicine is still based within the private sector and not available in hospitals. The same applies for cupping therapy. There are slightly more practitioners offering cupping as practitioners from other modalities of medicine have access to this therapy, but I cannot say how many exactly. Currently I am not in full time practice. I work for a non-profit organization, The Ibn Sina Institute of Tibb, which was set up to facilitate the promotion and training of Tibb in South Africa. I practice cupping mainly on the Sunnah dates, after hours and over weekends. I also offer therapies like massage therapy and have recently become a Tissue Salts Consultant, in addition to being a Tibb doctor. Our thanks to Dr Joy Saville from Ibn Sina Institute of Tibb in South Africa for sharing the above post. If you have any questions or want to leave some feedback on their training, then please do so via a comment* below.